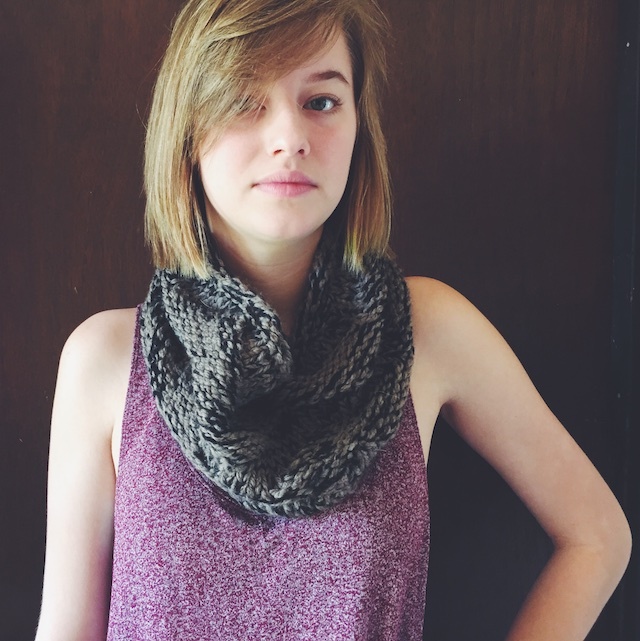 The Minto Cowl is a new pattern from Tara-Lynn Morrison that will be featured in her soon-to-be-released pattern book. I really love this cowl. As with her other designs, they're not too tricky but interesting enough to work on that you don't get bored. There were no mods. 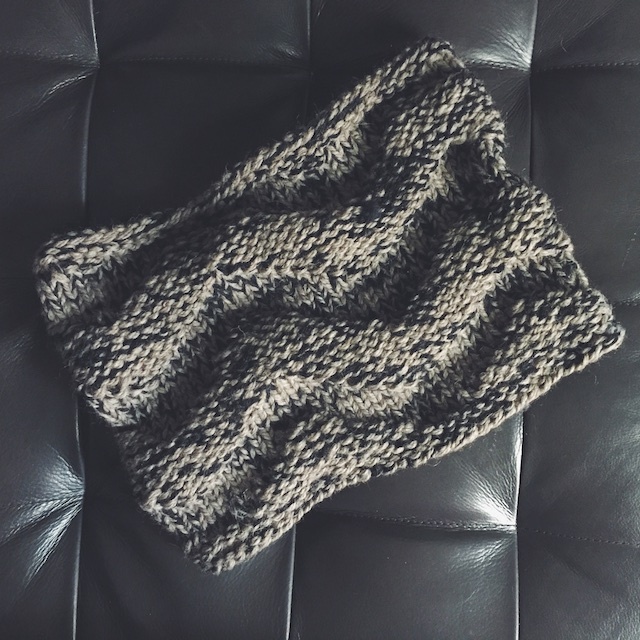 It was straight-forward, chunky knitting. I used size 10 needles for mine and, in lieu of super bulky, bulky Cascade Eco with a strand of worsted Lion Wool. I really like mixing yarns for a marled effect, so I didn't mind not having the perfect super bulky on hand. 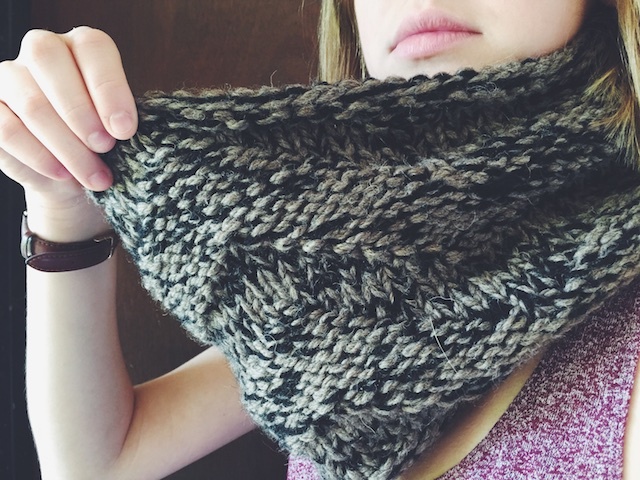 Yarn shortage is also why I knit the funnel version of the cowl, when I would've liked the longer one. The thing is, I need a good, warm funnel cowl anyway, so it all worked out. This child really looks like a child here. She modeled for this phone photo so I could post a photo in the Big Cozy KAL thread. This was my first finished object for the knit-along, I think. I've been lax in the photography area lately, but I have knit a crap ton of things this Fall, many of which were test knits for the Good Night, Day book. I think it was well worth the scanty blog posts and cell phone pics. This design is for sale now on ravelry, but if I were you, I'd order the book. There is nothing in it that I wouldn't want to knit. It's up for pre-order now and will ship at the end of this month.